Casting Call in Santa Fe New Mexico. Our Lady, LTD is now filming in New Mexico and currently casting background extras in the area who would love to appear in the show. 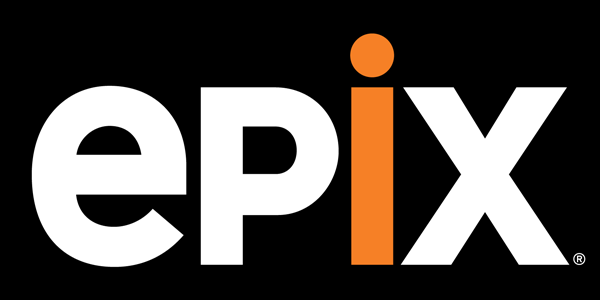 The EPIX TV show follows a young man named James, a grifter, as he attempts to prey upon Pastor Byron Brown, who turns out to be far more dangerous than he suspects. The show stars Jimmi Simpson (Westworld) as James the grifter, Ben Kingsley as Pastor Byron Brown, Jackie Weaver as Lillian, Luis Guzmán as Hector Contreras and Damon Herriman as Paul Allen. Brown. According to Deadline, The show’s character, James, a disgraced firefighter, seizes a chance, illicit opportunity to reverse his life’s worsening course. When his plan veers dangerously off track, James must call on strength and fortitude he did not know he possessed in order to survive it all. And, of course, James is described as a grifter who maybe tries to bite off a bit more than he is able to chew. Epix announsed plans for the new show in the summer of 2018 and has ordered 10 episodes of the show for season 1. “Our Lady, LTD.” is set to premiere on Epix sometime in 2019. The series is written by Steve Conrad and Bruce Terris. Executive producers named for the show are Steve Conrad, Bruce Terris, Todd Black, Jason Blumenthal, and Steve Tisch. Steve Conrad is also said to be directing quite a few episodes for the first season. The show began production some weeks back and is expected to be in production in and around the Santa Fe, New Mexico area into March of 2019. SANTA FE/LAS VEGAS, NM AREA – Series “Our Lady Ltd” for WORK on MONDAY 2/11/19. –If you are booked with your VEHICLE, you will also be paid an additional Car Bump of either $20-$30 for use of your vehicle (depends on if you car is parked ($20) in the scene or if you are driving it ($30). To SUBMIT: email to: olcnewmexico@gmail.com with subject line HALF ACRE WITH CAR. Submissions MUST include ALL of the following: first & last name, contact number, height, weight, city you are located in and a RECENT photo taken within the past month. Photos MUST be of you alone with no one else in photo, NO sunglasses, NO hats, NO filters and should be taken against a plain/solid color background!! **MUST also include the year, make, model & color of the vehicle you will be driving to set! We do not yet have Call Time so you MUST have FULL day available if submitting to be available regardless what Call/Wrap Time ends up being. Pay rate: $100.00 for 8 hours. Will be paid the full 8 hour rate even in you work less than that, however you MUST be available for the entire shoot day and have FULL day availability regardless of Call/Wrap times. ‘PAUL’ YOUNGER VERSION DOUBLE: Male, Caucasian, age range 14-23 years old, height range 5’3″-5’6″, weight range up to 145lbs, fair complexion, brown eyes, dark sandy blonde to brown hair. To look like the actor when he was 16 years old – *see photo for reference). To SUBMIT: email to: olcnewmexico@gmail.com with subject line YOUNG PAUL DOUBLE. Submissions MUST include ALL of the following: first & last name, contact number, age if under 18, height, weight, city you are located in and 2 RECENT photos taken within the past month (1 should be headshot type and one should be full body). Photos MUST be of you alone with no one else in photo, NO sunglasses, NO hats, NO filters and should be taken against a plain/solid color background! !